In the first part of this four-article series we discussed the emerging prevalence of mobile and social media channels – alongside the ubiquity of email – their use today and potential to fragment audiences if left unattended. 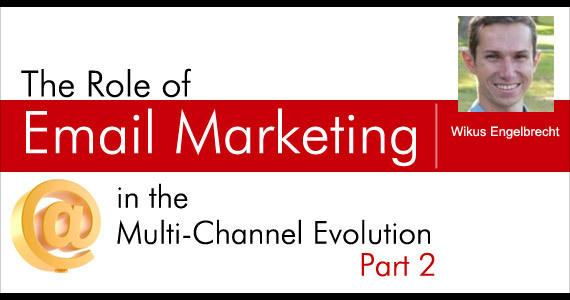 In this part we will discuss some opportunities around the convergence of email with social and mobile, giving you insights and practical tips on how to integrate and manage your cross-channel voice and leverage these tools in unison to get better results. While it’s easy for marketers to understand why they should be integrating email, social and mobile – the real challenge remains how to do it. 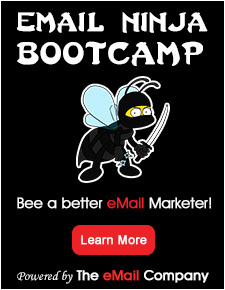 At its most simple level, it’s merely about taking all the basic principles of email campaigns and consistently applying them to newer channels and platforms. Social sharing is becoming a part of the web’s DNA. According to a new study by website monitoring service Pingdom, 24.3% of the top 10,000 websites in the world now feature some form of official Facebook integration, and once you also include basic links to Facebook, the number goes up to 49.3%. Twitter is featured on 10% of homepages in the top 10,000 and over 13% of the sites surveyed in this study used Google’s +1 button on their homepage. Counting all kinds of links and official widgets, Pingdom saw 49.3% for Facebook, 41.7% for Twitter, 21.5% for Google+ and 3.9% for LinkedIn. The use of social sharing via widgets is also one of the best email marketing tactics. But to avoid putting the cart before the horse, you’ll need to lay a solid foundation in social media. It’s critical to identify where your customers are rather than making assumptions. There are many free third party tools that can provide insight about social site traffic by industry sector – to help you prioritize your social initiatives – such as Compete and Hitwise. You can also make use of a data provider, like Rapleaf, who will append social data to your opt-in mailing list. This information is delivered at the individual email address level and gives you a snapshot of each consumer; including whether they are on Facebook, Twitter, LinkedIn, Goolge+ and so on. Is there a buzz around a certain product or promotion? Are there complaints that need to be resolved? Are there suggestions or comments waiting to be addressed? Start by monitoring blog posts and social conversations by setting up Google alerts and using a service such as Hootsuite or Sprout Social to see what content of yours is being shared and talked about on social networks. Next you need to look at what draws your customers in and brings them back for more – in other words – the ‘sticking points’. This is what ultimately brings home the bacon and is the most important information you can have at your disposal to run successful cross-channel marketing campaigns. Use Google analytics tools to see which parts of your website are the most active and which links, content, referral sources or conversations generate the most traffic. Once you have taken these measures you can identify what motivates your audience and therefore design even more attractive campaigns in the future. With this data at your disposal you can also start thinking about deploying segmentation tools that will enable you to tie in campaigns across email, social and mobile channels based on individual preferences and analytic indicators. For example, you can segment by gender, age, geographic location, or by preferred channel – which is critical to know when you’re looking to communicate with a specific customer. Email should work hand-in-hand with various digital messaging channels, and the efforts made on each one should complement initiatives on the other. It all starts with a well-made marketing email. One point to focus on especially is crafting a short and sharp subject line, at 50 characters or less; which should clearly state what your readers can expect from your email, what’s in it for them or what you want them to do as a result. If you have discovered that your subscribers are active on Twitter and Facebook, your task is then to convey the same message to this audience in a style that is appealing, according to the unique attributes of each platform. By taking that message to the 120 character frame in Twitter, you can create more interest and clarify your call-to-action. Add a #hashtag and use a shortened URL to save on character count. A Facebook post gives you the opportunity to entice fans even more by expanding your message to 150 characters. Remove the #hashtag you used in Twitter and add a compelling graphic. Every email and social marketing message presents the chance to provide relevant motivators in a contextual setting to your mobile-oriented consumers. However, it’s often difficult or too expensive for smaller brands to have their own mobile applications developed. The cheaper route is to look for a suitable mobile marketing service that offers mobile site creation and hosting tools. Some of these services let you build as many mobile sites as you want, with editors that make it easy to upload videos, images – often rendered automatically to the appropriate size and weight per device type. The key principle is to reduplicate your website experience to make it appropriate for the small screen, for readers who may be checking your emails on a smartphone and looking to check what’s on your domain for further information (in which case you will want to optimize your email for the mobile format, but more on that in part 3). It’s really that simple. If you start with email as a campaign root, you have all the tools and resources already at hand to reach audiences anywhere and everywhere, with no need to create anything new. So the question now remains; how do you effectively re-shape your emails for the mobile medium? To answer this, in the third part of this series we will discuss mobile-email optimization at greater depth. Profile: Wikus Engelbrecht is a marketing copywriter and journalist at GraphicMail, an international email and mobile marketing service provider. He has been active in professional language and media work since 2003, primarily in the digital environment. Contact him at wikus@graphicmail.net and follow @GraphicMail on Twitter.